Idling happens when a vehicle’s engine is unnecessarily left running while it is stopped. 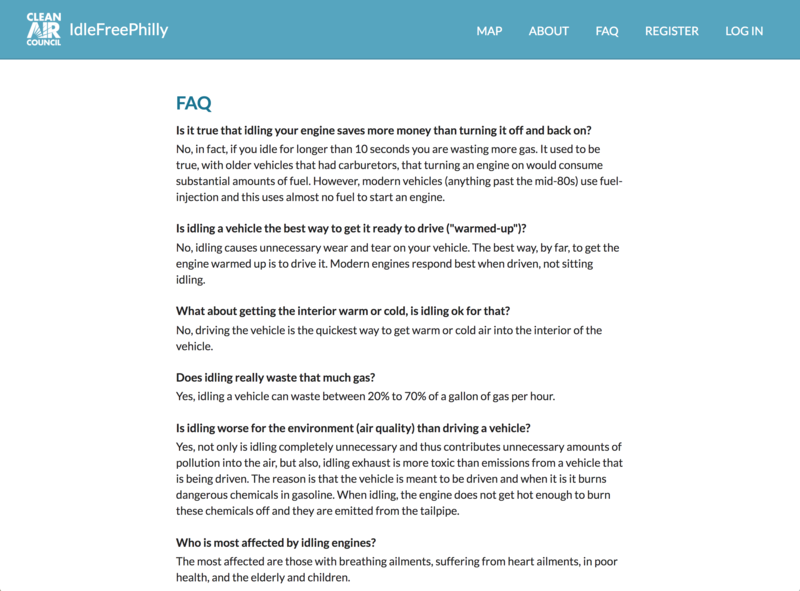 In some cities (including Philadelphia), idling of large vehicles such as trucks and buses is illegal due to its economic, health, and climate costs. 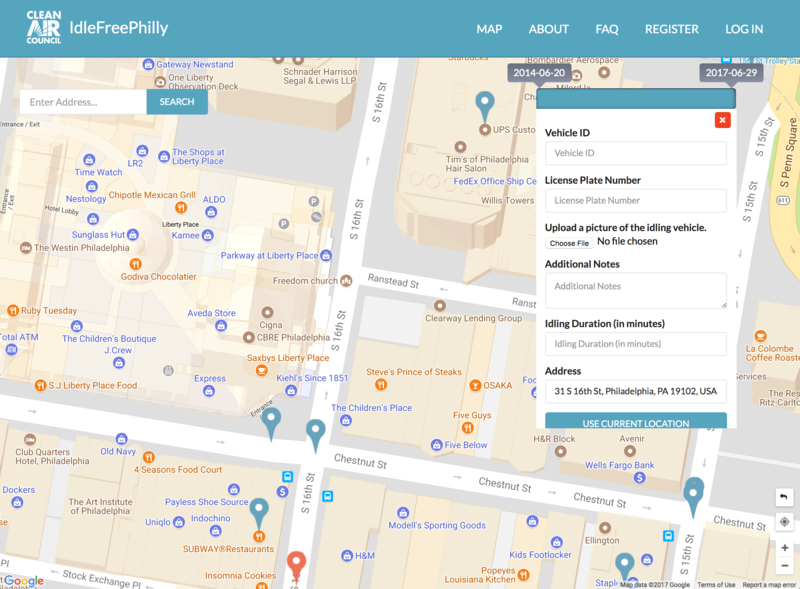 The purpose of IdleFreePhilly was to provide a web and SMS platform for reporting and visualizing illegal idling of large vehicles in Philadelphia. This helps Clean Air Council in identifying problematic city agencies and companies to help them self-correct and train their personnel. 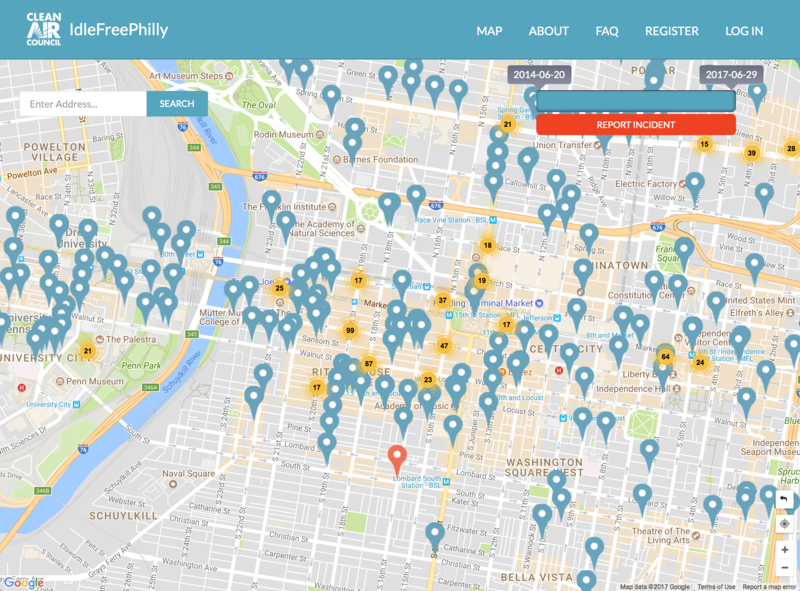 Established in 1967, Clean Air Council (CAC) is Philadelphia’s oldest environmental conservation organization. The Council is dedicated to protecting and defending everyone’s right to breathe clean air. The Council works through a broad array of related sustainability and public health initiatives, using public education, community action, government oversight, and enforcement of environmental laws. 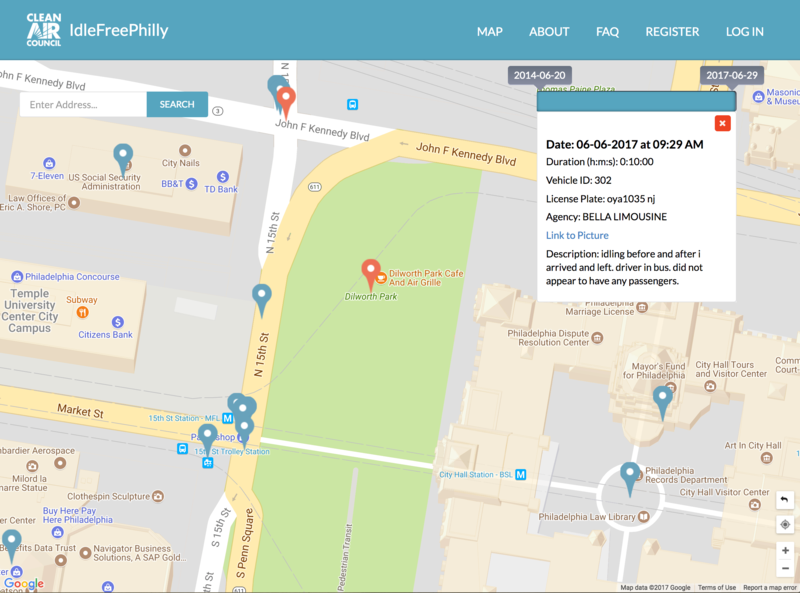 Clean Air Council said that through IdleFreePhilly, they were able to record more than a 1000 illegal idling incidents. This allowed Clean Air Council to target specific agencies which had high idling counts with concrete evidence and persuaded these agencies to retrain their employees to prevent future idling.